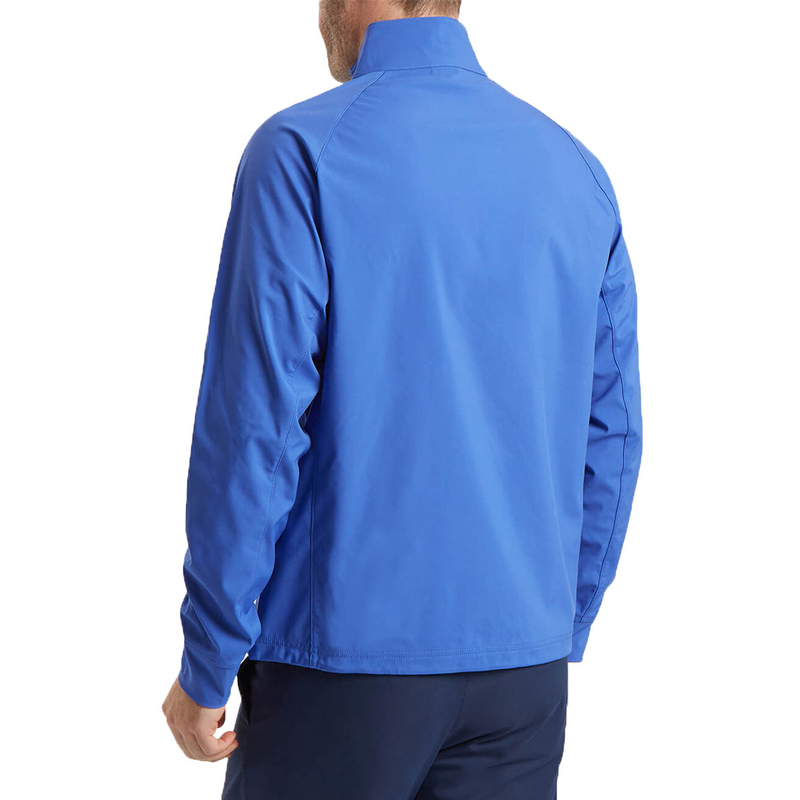 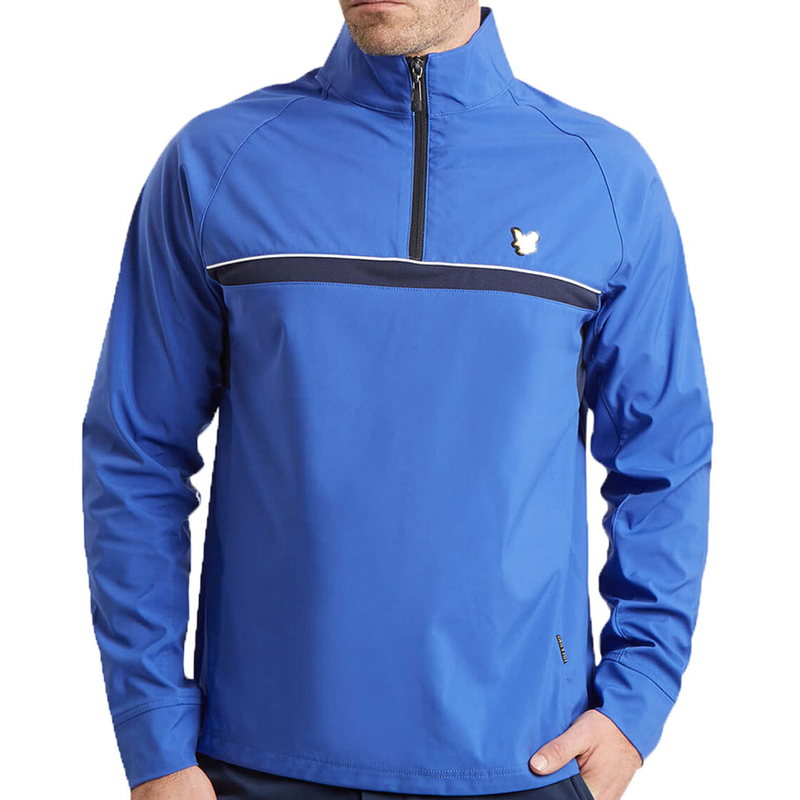 This half-zip jacket has been engineered from a lightweight polyester softshell. 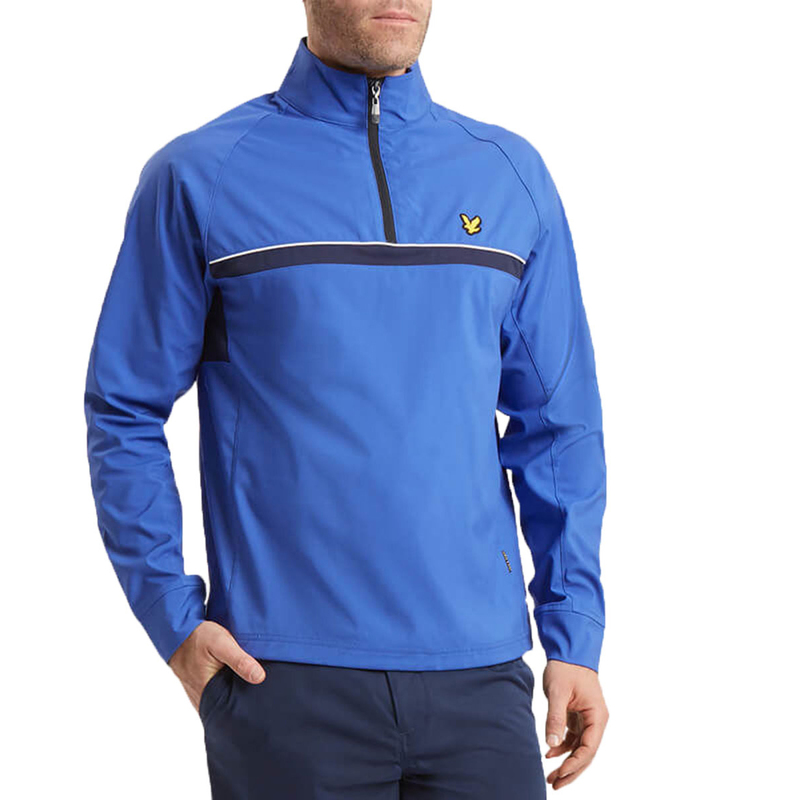 Designed to move with the body during the golf swing, with a mesh blocking on the underarm which increases breathability as you perform. 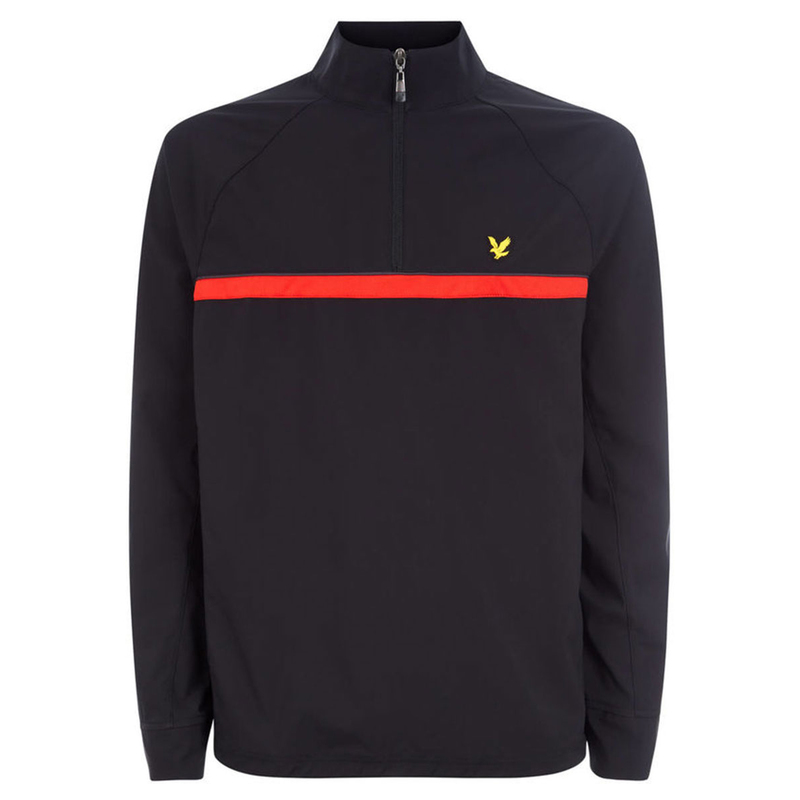 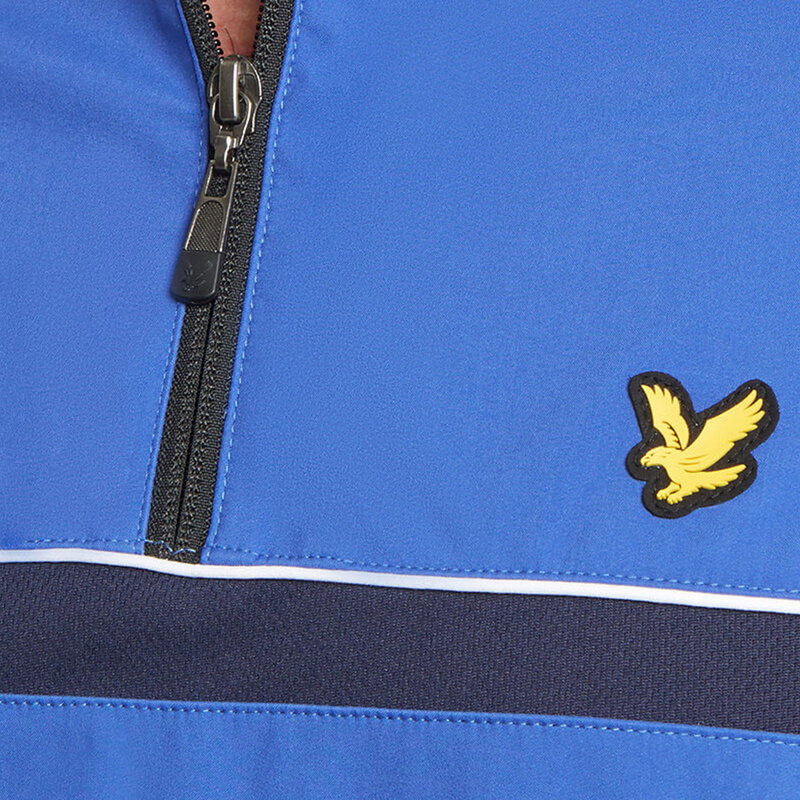 The jacket is water resistant, has an adjustable bungee cord on the hem, and is highlighted with a Lyle & Scott logo on the left chest.